Thanks to Ankur Kamboj, Ghaziabad for sharing his experience. My journey of ShivYog started in somewhere in mid January 2009 when I started to listen to Babaji's programme on Astha TV. Before I used to pray in the morning everyday. I was blessed to be born in such a family where everybody supported me. My grandma used to take me to mandir or katha in my childhood. I just used to sat there calmly; I can't say I enjoyed it, but yes, I did like it sometimes. One thing I could not understand that how to apply these kathas that (swamiji tells) in my real life; maybe I was not mature enough to understand that. Now I'll come to the point. I used to listen to pravachan on TV of many saints, but I loved to watch someone who talks about practical life which I could put into my life for betterment and this attracted me more though my grandmother loved to watch kathas of Shrimad Bhagwat, Shiv Mahapuran. I am not saying that they are of no use but actually they need more mature mind to understand the real meaning hidden in them. So one day when I was wacthing Babaji's satsang and I just loved it. The way Babaji explained things I was shocked and realized that the way I'm living my life is of no use. Then I started watching the program daily with my parents, then I realize that this is the guru I was longing and finally decided to attend the shivir. But it was not as easy as I thought. At that time babaji was in Delhi, but it was too late I could not attend the shivir. Then I tried to attend shivir in Mumbai, but again I failed to attend due to no reservation. Months passed but nothing happened and I could not resist myself. I was praying to babaji to please please make me your disciple. And then one night I remember I was in my office and I opened shivyog.com and started praying to babaji at that time with all my heart I prayed... and then I started reading sadhak's experiences on orkut and then suddenly I dont know I just felt to write to a sadhak (Preet di). I will always be thankful to her. It was around 3:25 am, so I just wrote to her and of course I was not expecting answer at that time as it was midnight so I thought she would answer me in two or more days, but in my heart I was not ready to wait but could not do much about it and then she replied back in minutes... I was shocked as it was in the middle of the night. Then she helped to me and asked me to go Dwarka ashram. At Dwarka asharam every sunday morning there is satsang and dhyan performed by sadhaks. Then my confidence built up and I went to the asharm. As I live in Ghaziabad it is far from my place. So I got up 4:30 am and took metro from Shahdara as I was never been there I didn't know how would I reach there on time as the satsang starts at 8 a.m. but I had complete faith in my Babaji so I was less concerned about that. As I reached Dwarka at 7:30 a.m. I had address of ashram but I didn't know how to get there. Finally, I decided to take rickshaw from metro station. As I was talking to one rickshawala suddenly a person behind me shouted "Are you going to ashram?" I said yes he said come along; he was a ShivYog sadhak and I just jumped. I still remember he asked my name and I replied Ankur and he said from now on starts your journey to become a tree. I laughed. At 7:40 we reached there. The atmosphere at the ashram was like heaven; you can feel the energy, so much positivity around. From then on by the grace of babaji, luck is by my side. Things started happening. I went to Chandighar and attended Siddha 1 & 2 (I stayed at my aunt's place which was very near to the shivir location). Recently by babaji's grace I got Shambhavi Diksha in Delhi shivir and guess what? Again I was lucky that my cousin brother stayed just near the chattarpur temple otherwise it takes 2 hours to reach there, but babaji so beautifully took care of me every time I attended the shivir). Now I don't worry about how will I get Sri Vidya Diksha.. I know when the right time comes babaji will call me. 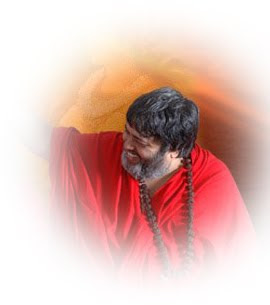 Your perspective of life changes completely when you become a ShivYog sadhak. I know it's just the beginning but now I know where I am going :) Thank you babaji.. Love you. If you wish to share your experiences, please write to vigorheart@yahoo.com.